Early one morning, a little monk by the name of Jamyang was sitting deep in meditation when spotted something on the distant horizon – It was a solitary figure marching towards the monastery. The monkey squinted his eyes trying to focus on the growing figure. As the figure marched closer and closer it appeared to be a warrior of some sort, a samurai possibly – he has two long swords hanging low and armour that was flapping stiffly in the wind. This was a very long way for a samurai to travel. Interesting. The monk watched as the mysterious figure drew closer. From what he could see, it appeared to be a ronin— a rogue with no master. He was a very large, brutish looking man with a long stride and a scowl on his face that was visible even from this distance. The monk waited calmly. The ronin’s face filling with anger. He opened his mouth to speak. At this the warrior’s expression contorted with pain and he cried out, pulling his swords from their scabbards and raising them above his head, readying himself to issue the death-blow to this small, smug monk. “That is hell,” Jamyang whispered. 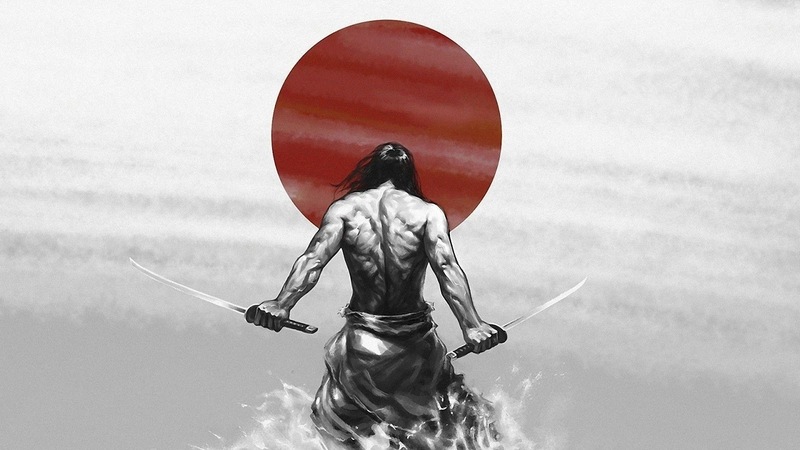 The ronin froze, the swords trembling in the desert air. Slowly, realization dawned on him, his face beginning to drain of its colour. There could be no clearer explanation. This wise old monk had risked his life to show him, through his own emotions, exactly what hell was. Overcome with gratitude he fell to his knees, tears welling in his eyes.